Paddle in the Natural Park of Llevant. You will enjoy the isolated hidden beaches with crystal clear waters, located just under the impressive mountains of Ferrutx. Nature in pure form. The trip wil be guided by an instructor who will teach the participants with the basic strokes, body positioning and safety procedures to enjoy the trip in the best possible way. A stunning trip which would be an unforgettable experience. Suitable for everybody. No previous experience is required. Timetable: All trips start at 9.30 am from the meeting point in Betlem. *Please arrive 15 min before the start of the activity. 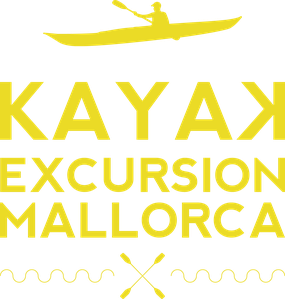 Duration: 3 hours (6 km) paddling including time to rest or snorkel. Kayak type: Sit on top double and single. What we recommend you to bring: Towel, t-shirt, cap, sun glasses, water, shoes, sun cream. Price: 45€ per person. Children under 11 (without paddling) that accompany their parents in a double kayak are FREE. *Minimum age 6. Minimum age for paddling 11. Max 2 children per kayak. 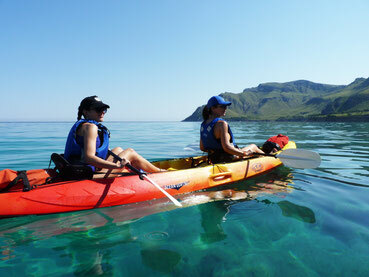 Price includes: Kayaks, paddles, buoyancy aids, dry storage box, photos and insurance. ©2014 Pep Juaneda. Todos los derechos reservados.